Hey everyone, hope you are well and that you have had a good week! ♡ I've not posted in a little while, constantly exhausted at the moment so I've been struggling with writing for my blog. But hey, here I am today with a new blog post! 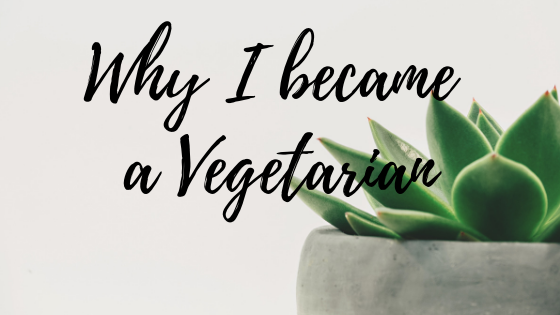 Today's post is about why I decided to become a vegetarian. There's a few reasons why I decided to do it and I thought I'd write it out in a blog post! And don't worry, I'm not writing this to convert anyone, you can do as you like, but I thought it would be interesting to discuss it and I'd love to hear your views on it too. My inspiration to be vegetarian? Towards the end of last year I started to read a lot of blog posts on being a vegetarian and the environmental benefits. The meat industry is pretty bad on the environment and of course it's not exactly cruelty-free. 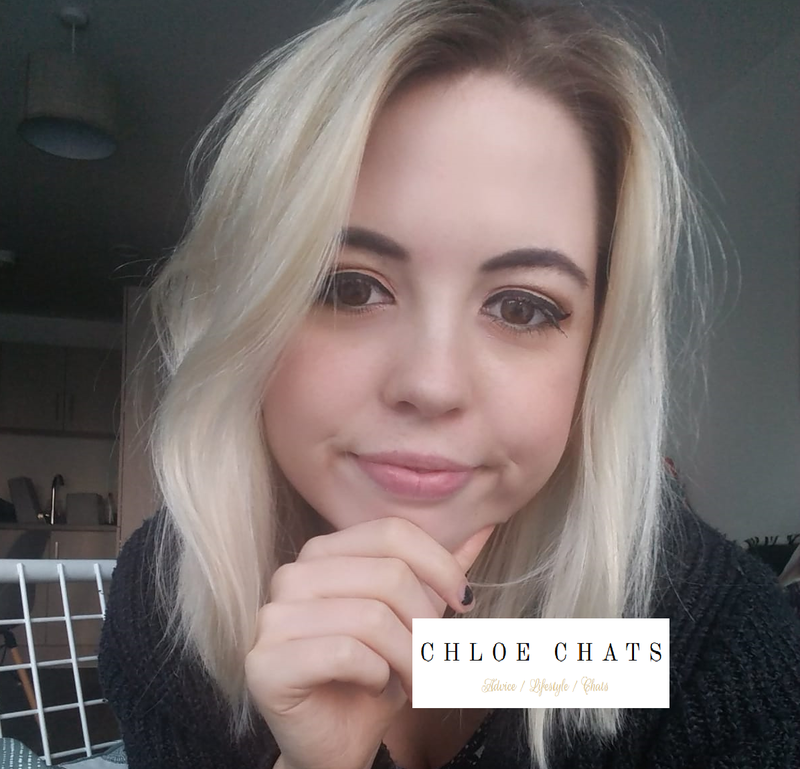 A blog post that I read at the start of January that I really enjoyed was one by Emily called 'you don't have to be vegan to eat sustainably' it's a really interesting post and it actually shocked me reading the stats about our food waste, 70 percent of food waste is from us throwing it away! It's really sad that we throw away so much food when there's millions of people out there that don't even get such a lifestyle. We can all easily reduce our food waste too, but for some reason we don't, we just end up cooking a big dinner and throwing the leftovers away, or we buy too much food in our weekly shop that we end up throwing away because they go out of date. I liked the idea of this post too, because we're not here to stop the world from eating meat, but even just reducing it is better than nothing, and just learning to be more sustainable with where you get your food from. A big goal for me this year is definitely to reduce my food waste. I used to just buy a food shop every week because I felt like I didn't have much otherwise, but now I use every last thing in my kitchen until I do a food shop. Of course, I go to the corner shop to stock up on a loaf of bread or if I'm missing something from a recipe, but I tend to do a big food order way over a week now. Me and my boyfriend also got a slow cooker for Christmas which we've used a few times now and that is one of the best inventions ever. It takes 15 minutes tops to get things chucked into it, and then you leave it on for however long it needs - it's great when you can put it on in the morning and then get home after work and have dinner all ready and made. I also find that a lot of the slow cooker recipes I've been using make at least 4 portions so we would have some for dinner and then have some for lunch the next day. On a side note, today for lunch I made an enchilada mix in the slow cooker the night before, and so I sat in my lunch area with two wraps, a container of enchilada mix, and a mini container of grated cheese and it was the best part of my day lol. It was a vegan recipe actually and very delicious. If you think about it, people get shocked when they hear that different cultures eat cats and dogs for food, but then you eat cows and chickens.. and to them they probably don't understand either why we would eat those animals. I also wanted to mention the lovely Sophie too from Glow Steady, I remember during the Christmas period I kept up to date with her vegmas posts and I loved them all. Often people think that being vegetarian or vegan means less interesting or tasteless food but that's definitely not the case. My favourite thing at the moment is when I'm less busy at the weekends and I have time to find new recipes and make them, and I've not been disappointed yet. I also have a long list of recipes saved from Sophie's blog to have a go at myself and I am super excited to try them. A big reason to why I wanted to become vegetarian is because of the environmental impact that the meat industry has on the planet. Of course, I love animals, they are the cutest and purest things and why should we eat them, I know they'll be some that will argue that they're on this planet to be eaten by us, but whatever your opinion is on that, it's cool, we're all different. It might sound silly but I've probably eaten lamb once in my life when I was a child because I had (definitely still love them now haha) such a big soft spot for sheep.. they are probably one of my favourite animals (cats are also high up on that list - although nowadays I struggle to even pick a favourite because they're all so cute). I had a lot of sheep-things including loads of teddy's, snow globe, bowls, salt and pepper containers ect, so I just didn't eat lamb. Going onto the issues of the environment. Even just raising animals for food uses up massive amounts of food, land, energy, and water, as well as the animal suffering. It is well known that animal agriculture is responsible for more greenhouse gases than all the world's transportation systems combined. Doesn't that fact just blow your mind? I have a feeling that vegetarianism and veganism may be pushed even more in the far future, just because I think the meat industry could destroy the planet pretty quickly, unless there's some drastic change. I found an article by Greenpeace UK called 'Food for thought: Less meat and more veggies' which has some pretty interesting facts. ♡ Meat production releases as much greenhouse gas emissions as transportation combined. ♡ It also pollutes rivers and oceans with animal waste. ♡ Intensive livestock farming contributes to antibiotic resistance, and the amount of meat we eat increases the risk of cardiovascular diseases, type-2 diabetes and some cancers. You can find out more about their vision for 2050 here! ♡ Research has been done that found if we were without meat and dairy consumption then global farmland use could be reduced by more than 75 percent - to put this into a picture, that would be the US, China, European Union and Australia combined as an equivalent area. We've lost a lot of wild areas due to agriculture and is currently the leading cause for mass extinction of wildlife. Farming animals for food uses up tons of resources, takes up massive amounts of land, it ruins forests because these farms need more and more land to ultimately get meat into our supermarkets and onto our plates. I'm not going to lie, before even looking into this I never knew how bad it was on the environment, I suppose you could say I was ignorant to it. Of course, there are a million other things that are bad for the environment too and so there are other things you can do to help it other than becoming a vegetarian, but that's just something I felt strongly about. What are your views/thoughts on this subject? I absolutely agree with you! I've been trying to keep my food waste down since the start of the year and it's working! I've been doing more fruit smoothies and if there are any extras, I freeze them. I'm thinking about doing popsicles too later on. Really interesting and well written blog post on a topic that I have been thinking about recently, I do try and cut down on most of my food waste but there is probably more I could still be doing. I will have a look at the links. I know for a fact that I could never comfortably be a vegan but have always considered being vegetarian (and have cut down a lot on my meat- particularly red meat, consumption). This is such an interesting read and I agree, Sophie from Glow Steady always has such lovely looking recipes and it's definitely encouraged me to eat less meat meals! I'd definitely be doing it for environmental reasons too, it's crazy what an impact it can have isn't it? So nice to read! I became vegan two years ago and have never looked back! Documentaries definitely seem to have a lot of influence. My husband shops every day so we hardly ever waste food. We freeze leftovers. We also eat a balance of meat and non meat recipes. Coming from a farming background I would find it difficult to become completely vegan. My parents are vegetarian, my sisters too, my youngest daughter and by me being lazy too cook 2 different teas we naturally became vegetarian ish too. I say ish, as we don't cook it or if we do it's once a week. I find quorn way to replace meat and often prefer it. Food waste is something we really need to start thinking seriously about in our house. I always feel guilty when I see something in the fridge which is out of date and hasn't been eaten - even if it's for a totally innocent reason like it was hidden at the back and we forgot it was there. I can't bare to think of all of these people without food and here I am binning something they would be so grateful for because I've forgotten about it. I've been vegetarian since high school, but it was a slow transition. In middle school I stopped eating beef & pork b/c I didn't like the taste anymore & I never ate seafood so I just stuck to chicken & turkey. In high school I started following Buddhist philosophy & I decided that I didn't want to be the reason an animal was killed & I went vegetarian. I'm content on being vegetarian & I have no intention on becoming vegan. I also do not push my views on anyone else so my boyfriend & our daughter will eat meat. Sometimes I kinda wish I became vegetarian sooner, but I guess I hadn't really thought much about it back when I was younger - I guess it seemed like the 'norm' to do what most others do and eat meat, even though I've always loved animals. That's also the reason why I'm vegetarian now, not wanting to be the reason an animal was killed but also the environmental issues that I spoke about. I shall have a read of your post!! I always like reading about why people cut certain foods out of their diet. I agree that the meat industry is not the best. There are so many different ways to do things right. I don't like that there is high inefficiency with waste. Sophie does a great job with her vegan recipes! Even though I'm not vegetarian, I realized that there is so much harm in the environment in the meat industry that I cut the amount of meat I eat. Thanks for sharing your thoughts! I absolutely love this post! I am semi-vegetarian. During the week I usually don't eat meat, but in the weekends I do, because then I'm at home and my mum doesn't want to cook vegetarian unfortunately. This was a really interesting post! Interesting post! So I've actually been toying with the idea of going vegetarian for a week to see what it is like. I'd like to do a blog post talking about what I eat and how I feel through out the time. I'm not confident that I can be a vegetarian or vegan full time but I think this is a good step to take to see how it is. Thank you for sharing/educating!